Name-Comm: His common name was Dughall Phaddy. [S100] Obituaries from The Casket Newspaper, 1852 - present, Obituary of Dougald MacFarlane, 12-1873-25-2. [S808] 1861 Digital, unknown repository address, Library and Archives Canada. Married Name: As of circa 1836,her married name was MacFarlane. [S426] The Boston Globe Newspaper, Obituary of Andrew McFarland, March 30, 1895. [S282] Judith Manley, "Manley, Judith, September 27, 1999," e-mail to Donald J. MacFarlane #7, September 27, 1999. [S687] Antigonish County Cemeteries;, St. Andrew's Cemetery, Old Section. [S709] Diocese of Antigonish, Nova Scotia, Canada , Marriage of Andrew MacFarlane and Catherine MacDonald, page 41. 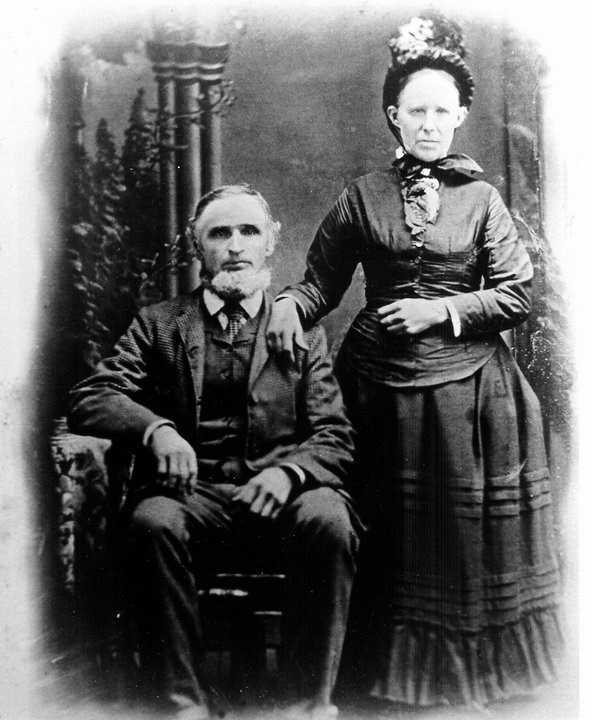 Married Name: As of 26 November 1851,her married name was MacFarlane. Religion*: Patrick MacFarlane was Roman Catholic. Name Variation: Patrick MacFarlane was also known as Paddy Ban MacFarlane. Name Variation: As of 4 April 1881, Patrick MacFarlane was also known as Peter McFarlane. [S709] Diocese of Antigonish, Nova Scotia, Canada , Marriage record of Patrick. McFarlane and Sarah Scott, page 136. [S100] Obituaries from The Casket Newspaper, 1852 - present, Obituary of Peter MacFarlane, 42-1893-5-3. [S100] Obituaries from The Casket Newspaper, 1852 - present, Obituary of Mrs. Peter McFarlane (Sarah), 42-1893-17-3. [S812] 1861 Digital, unknown repository address, Library and Archives Canada. Married Name: As of circa 1840,her married name was MacFarlane. Name given as Ann on several of children's records. Married Name: As of circa 1872,her married name was MacFarlane. Biography: After her marriage she resided at St. Andrew's until 1913 when she purchased the farm at Glen Alpine on which she died. Year:1901; Census Place:South River, Antigonish, Nova Scotia; Page:4; Family No:31. Married Name: As of circa 1808,her married name was MacFarlane. [S262] Dr. Raymond A. MacLean, History of Antigonish, Volume 2, Page 122. [S709] Diocese of Antigonish, Nova Scotia, Canada , Marriage of Alex MacDonald and Catherine MacFarlane, page 38. Married Name: As of circa 1840,her married name was MacGillivray. [S100] Obituaries from The Casket Newspaper, 1852 - present, Obituary of McGillivray, Mary, 1907-7-3. [S100] Obituaries from The Casket Newspaper, 1852 - present, Obituary of Angus MacFarlane, 35-1886-15-2.